When you take your bosphorus trip in Istanbul (I assume you will all take after having read my ´yali posts´ LOL ), towards Black Sea, after Anadolu Hisari (just before arriving second bridge) you will see a very old looking wooden yali. 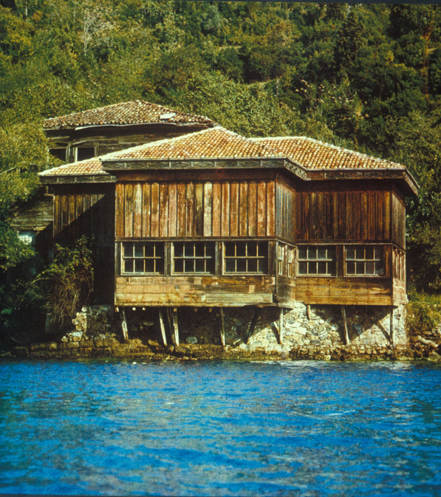 This yali is the ´oldest wooden house in Istanbul´. It was built in 1699.. In fact what you see is the only small part the original building. 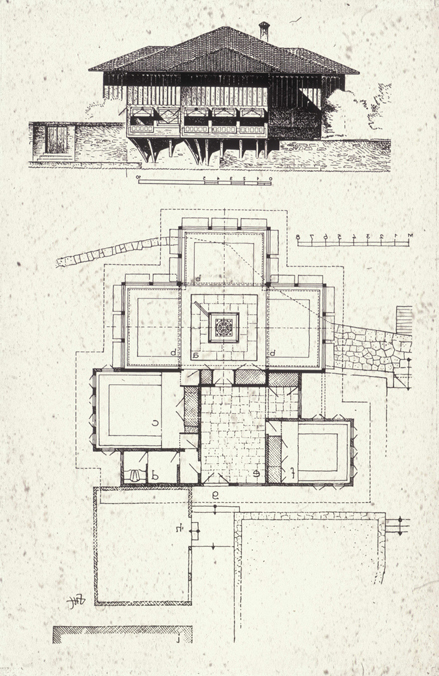 Only the assembly room (divanhane) of the men´s quarters (selamlik) has survived, and is in urgent need of repair today.. The wooden assembly room raised only two meters above the water´s surface sits on and projects beyond a stone retaining wall abutting the water. Its plan consists of a domed square central hall (sofa), with three iwans projecting over the waters to the west and south, and into the garden to the north. Supported on consoles like bay windows, the iwans provide extensive views of the surroundings through strip ribbon windows placed low at the eye level of a person seated at the window-side sofas. Each window had windowpanes for shading and seasonal protection that, when raised, reflected rays of the sun from the water´s surface onto the interior walls. Like many of the buildings from that era, the yali was built as women´s quarters (Harem) and men´s quarters (selamlik). From the old pictures, herem had 15-20 rooms but it was completely destroyed by the soldiers who lived there during Russian war in 1893..
Divanhane, which is the only surviving part, was built as a ´T´ (a typical old Ottomani architecture). And under all windows there used to be built in sofas so that residents could sit and feel as if they were in bosphorus. The most beautiful part of this yali is the part we will never see: Its interior decoration..
"The walls are covered with wooden panels above the window level that depict floral arrangements composed of roses, carnations, jasmines, tulips and pomegranate branches in vases. A small pool, with a kiosk-shaped marble fountain, is placed at the center of the hall below the dome, which is decorated with elaborate arabesques. The doors and shelving in the assembly room are adorned with ivory." And all its interior was designed by calculating the incoming light which includes the ligh reflecting from the water.. The first owner of this yali Amcazade Huseyin pasa (his uncle was of another grand vezier Koprulu Mehmed pasha -) was in the battle of Vienna in 1683 and he was the grand vezier between 1697 and 1702.